One of the most enduring allegations against Magashule is that he ran a bona fide shakedown operation in the Free State. The former premier allegedly made sure that businesspeople who got contracts from provincial departments and municipalities paid their dues to him as soon as they received money from the public purse. Several sources who once worked with Magashule claimed that such dubious funds were intended not only for his own pockets, but also for those of the ANC. The IgoFiles provide unique insight into how the former premier tapped into the proceeds of the asbestos auditing contract to further his own political agenda and to benefit his party. In what can only be described as a kickback scheme, Mpambani funnelled money that came directly from the province's coffers towards party-political projects. His orders to do so came from Magashule's office. In November 2015, Magashule's newly appointed spokesperson Tiisetso Makhele joined eighteen fellow Free State compatriots on a three-week jaunt to Cuba. '[T]he ANC Free State Provincial Executive Committee, under the visionary leadership of Comrade Ace Magashule, sent me and 18 other comrades on a political course in the South American island of Cuba,' Makhele later wrote in The Weekly. The group of travellers, which according to Makhele became known as 'the Cuban 19', should have thanked South African taxpayers for their lengthy holiday in the Caribbean. On 28 January 2016, shortly after their return to the Free State, Moroadi Cholota once again emailed Mpambani. 'Good day. Kindly find the below details as discussed telephonically,' she wrote, including the bank details for Astra Travel, a travel agency in Bloemfontein. Her timing was impeccable. Just forty minutes after she sent the email, the FSHS transferred R10 million into the Blackhead–Diamond Hill joint account. This was the sixth payment for the asbestos audit. The fact that Magashule's personal assistant emailed Mpambani during the exact time frame in which the FSHS paid yet another instalment to Blackhead–Diamond Hill resonates with what I was told by several of the former premier's erstwhile associates and allies. 'Ace kept tabs on all the large and medium-sized payments made by municipalities and provincial departments. He knew exactly when most companies were due to receive money from his government, and he would then very quickly collect his share once the payment had been made,' a former MEC in one of Magashule's earlier executive councils told me. The following day, Cholota sent Mpambani an invoice for R250 000 from Astra Travel for the 'Cuba delegation'. It was for the group's accommodation abroad. 'Kindly find the attached invoice as discussed. Hope you will find it in order,' she wrote. In this instance, by following the money trail it is possible to see exactly how Mpambani attended to this political request with the proceeds of the asbestos auditing contract. Through a series of complex transactions, the businessman moved the FSHS bounty around in a manner that has all the hallmarks of a classic money-laundering operation. When the sixth instalment of R10 million landed in Blackhead–Diamond Hill's account, Mpambani immediately transferred about R5 million to Blackhead Consulting. He also put R600 000 into his private RMB account. A couple of days later, he paid over R4 million to 605 Consulting. As soon as the R600 000 landed in the RMB account, Mpambani transferred R400 000 and R160 000 respectively to Diamond Hill. He marked these transfers as 'loans'. He then immediately transferred these amounts from the Diamond Hill account to 605 Consulting, marking them as 'loan–Diamond Hill'. Minutes after the R400 000 'loan' landed in 605 Consulting's account, Mpambani paid R250 000 to Astra Travel to settle the bill for the Cuban 19. He marked the payment as 'Travel–Cuba'. And the 'loan' of R160 000? About two weeks before the FSHS paid out the sixth instalment, Mpambani received an email from Kemi Akinbohun, a lawyer from Welkom, with the banking details of a non-profit entity called Evolution POT. 'Kindly note that we shall send you a formal acknowledgement of the receipt of the donation when received,' Akinbohun wrote. Two weeks later, after Mpambani had channelled some of the FSHS cash through Diamond Hill and into 605 Consulting's account, he paid R100 000 to Evolution POT, marking it as 'school fees donation'. According to its website, Evolution POT is a foundation established by Mathabo Leeto. Its objectives include 'capacity building and training', 'moral regeneration', 'healthy living styles' and 'support [for] youth education'. Akinbohun confirmed the donation and said Mpambani's money was used to buy school uniforms for needy children. The donation had not been influenced by MEC Leeto, insisted Akinbohun. According to accommodation bookings in the IgoFiles, Mpambani was in Bloemfontein when he made the first payment to Evolution POT and settled the travel bill for the Cuban 19. By now, there was a clearly discernible pattern. No sooner had the FSHS transferred money into the Blackhead–Diamond Hill account than Mpambani would receive requests from Magashule's aides or people linked to politicians like Leeto. He would then move his share of the money into his own company accounts, from where he would make all manner of payments, including settling the requests. Mpambani also started to withdraw ever-larger amounts of cash before or during his trips to Bloemfontein. Zuma was in the middle of yet another political storm after his shock appointment, and subsequent reversal, of Des van Rooyen as finance minister a month before. His relationship with the Guptas was also keeping him in the firing line and he needed all the support he could get. The march was scheduled for the week after the FSHS made its sixth payment for the asbestos audit, and Mpambani's money once again came in handy. On Wednesday 3 February, he withdrew half a million rand in cash from the FNB branch in the Sandton City shopping mall. He then drove to the Free State, swiping one of his bank cards at the Grasmere and Vaal toll plazas before later buying petrol at the Engen 1-Stop on the N1 outside Bloemfontein. While we do not know for sure what the R500 000 was for, the IgoFiles suggest that Mpambani met with someone about the planned Zuma march that same day. 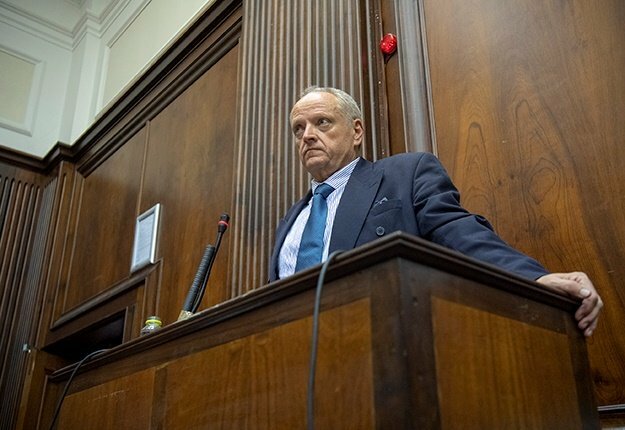 The following day, he made three separate payments totalling about R230 000 to three transport companies. He marked the payments as 'bus shuttle services Igo-Cosatu', 'bus shuttle services WL Mangaung' and 'bus service – rally' respectively. He also sent payment notifications to the three transport companies. I spoke to an employee at one of the bus companies, and he confirmed that they had been paid to drive members of the ANC Women's League (WL) to the rally. This person would not disclose where the money had come from. As it happens, MEC Leeto was treasurer of the ANC Women's League in the Free State during this time. Mpambani would later also make at least one payment to Thabo Meeko, albeit a relatively small one. In November 2016, Mpambani made an eWallet payment of R2 000 to a cellphone number which a simple Google search revealed to be Meeko's. Gwede Mantashe and Magashule addressed the crowd, with Mantashe claiming that reports about the Gupta family's links to top politicians were exaggerated. 'If people have relations with the Guptas it's their business, I don't have a relationship with them, I have no problem with people who have a relation with them,' he said from the podium. Mpambani had clearly been on Magashule's mind during that week. On the Tuesday before the rally, he received an invitation to the premier's upcoming State of the Province Address. As had happened the previous year, it appears that Mpambani drove down to Bloemfontein specifically for the event on 16 February. Data in the IgoFiles shows that he swiped 605 Consulting's bank card at toll gates en route. The FSHS transferred the seventh instalment to Blackhead–Diamond Hill on 28 April 2016. It amounted to exactly R15 million. Mpambani transferred half of it to Sodi's Blackhead Consulting and the remaining R7.5 million to 605 Consulting. From the latter account, Mpambani made the usual payments for 'engineering services' and 'professional services'. Less than two weeks later, only about R200 000 of the R7.5 million remained in the 605 Consulting account. In keeping with the pattern, Mpambani travelled to Bloemfontein frequently after receiving the latest instalment. On Monday 9 May, he withdrew R100 000 in cash from the FNB ATM around the corner from Free State House. He almost certainly had contact with Magashule or someone close to him that week, as evidenced by events. According to his diary, Magashule was at the ANC's Bloemfontein offices on Friday 13 May to prepare for the party's manifesto launch. That same day, Mpambani transferred R50 000 from the 605 Consulting account for 'bus shuttle service'. The ANC's manifesto launch for the upcoming local government elections took place the following day. It was held in Botshabelo, near Bloemfontein, with Zuma as the keynote speaker. Magashule also delivered a speech. Considering the timing of the payment and the fact that Mpambani was in Bloemfontein at the time, it is unlikely that the bus service would have been for anything other than the manifesto launch. Mpambani transferred R100 000 from the 605 Consulting account to his FNB Private Wealth cheque account, marking it as 'salary'. Just a few minutes later, he transferred this entire 'salary' from his Private Wealth account to an unknown bank account, flagging it as 'party fundraising'. A subsequent SMS sending-fee notification stated that the payment was for 'ANC Fundraising'. * This is an extract from Gangster State. 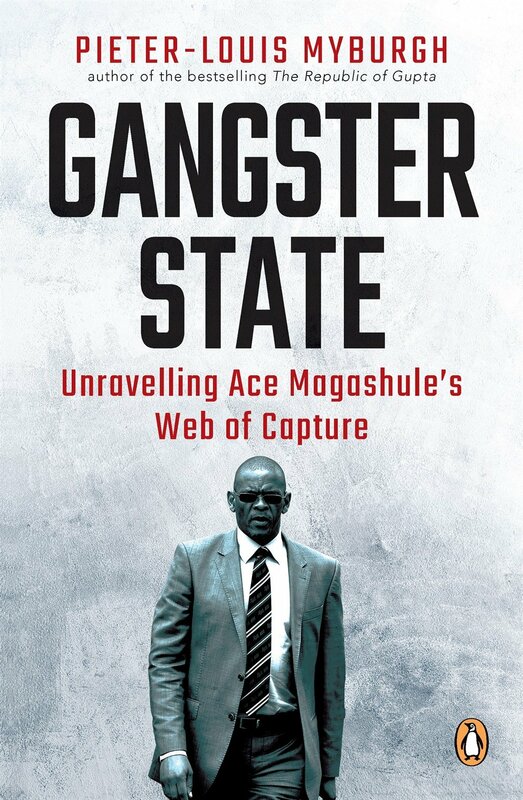 Unravelling Ace Magashule's Web of Capture by Pieter-Louis Myburgh, published by Penguin Random House.